The winter blues are nothing to ignore. 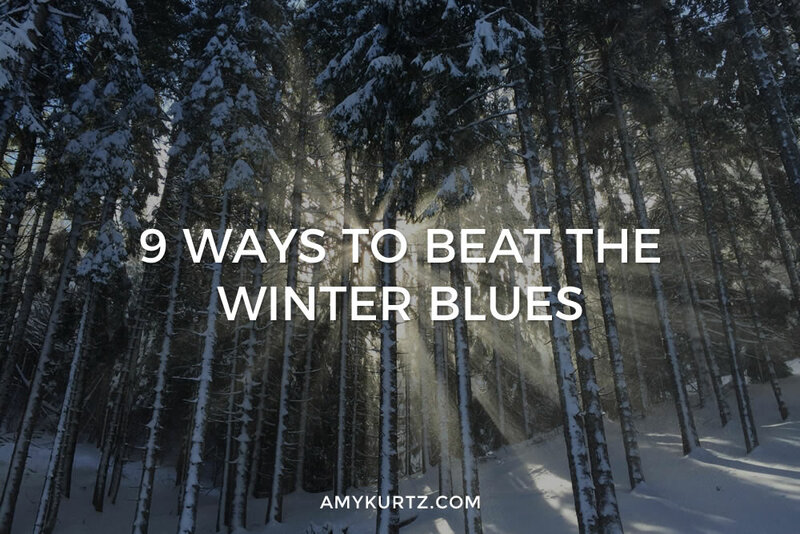 In fact, for many people a case of the “winter blues” is truly a disorder. Called Seasonal Affective Disorder, its acronym is SAD, one that’s particularly fitting, as for those afflicted it’s no fun at all. No matter the level of severity, no one wants the winter blues to stick around. Here are nine all-natural ways to kick them to the curb in these final weeks of winter. Make a commitment to your sleep. When life gets busy and stress builds, the first thing we generally cut back on is sleep. Don’t let that happen. Stick to a regular bedtime every night, and give yourself time to relax before you head for bed to be sure your body is ready for slumber. When the weather turns freezing and dark it’s easy to delay your workout by promising yourself you’ll do an evening class. But when the sun sets, the plan doesn’t seem so attractive, and you ditch the whole idea. Beware getting into this cycle. 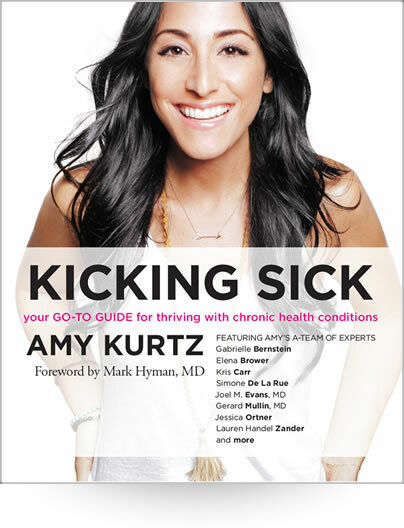 Commit to moving your body through a physical activity that brings you satisfaction, even joy. What makes you happy? Think for a moment. Is it yoga? Do that. Is it spinning? Do that. Is it dancing around your house? Pump up the music and do that. 3. Check your vitamin D levels. Winter is obviously a season of sunshine deprivation, which means your vitamin D levels are probably low. In fact, the majority of people get only half as much vitamin D as their body needs! Your doctor’s office can do a quick test of your vitamin D levels, which will likely inform you that you need a boost. Get outside for at least 15 minutes a day, preferably when the sun is at its highest, to get some sunlight on your face and lift your mood. But just to be sure, consider a vitamin D supplement. I take one every morning. 4. Keep a balanced diet. I know, I know, the dark winter months probably turn you into a sugar monster ravenous for cake, cookies, and candy. It happens to the best of us—but say no to the three C’s. Sugar may provide an immediate and tasty rush, but it quickly creates even greater fatigue. Carb loading may feel comforting too, but going too much in any given direction is well balanced, helpful, or healthy for our mood or our body. Avoid the grocery aisles loaded with sugary foods, and fill up your shopping cart with dark, leafy greens, organic fruit, healthy fats, and lean proteins instead. The better you eat, the better you will feel. If your winter blues refuse to budge in spite of a careful regimen, look into light therapy. A special therapy lamp provides exposure to light that the body recognizes as sunlight. I went to college in Syracuse in upstate New York, where winters are often long and brutal. To keep my spirits up in spite of the weather, I had what I called my “happy lamp” in my dorm room, and I used it every morning. 6. Do a buddy check. Feel a little isolated? Pick one of your most action-oriented buddies, and make a plan to have a weekly check-in about ways you can defunk the winter blues. Sharing is caring. 7. Find things that make you happy. What brings you joy? What makes you smile and feel great? List the things in life that make you the happiest and schedule them in. Make it mandatory. Get action-oriented. Pencil it in ahead of time so it’s an active part of your routine. Think about all the things that are wonderful this time of year. A beautiful snowfall, cuddly pajamas, warm soup, hot tea, etc. Make it a point to regularly remind yourself of what you’re grateful for. Doing this daily will totally shift your mindset into a happier one. 9. Show yourself some love. We live in a speeding world. It’s important to slow it down, take some deep breaths, and tune in to yourself and your needs. Feel like you need some extra sleep? Take a nap. Think a hot bath would feel really good? Do that. Listen to whatever it is that you need—take good care of you every single day.